On 6 July 2016 Martin Roth, Director of the V&A Museum, London, announced a plan ‘to revive the Museum’s legendary Circulation Department’. 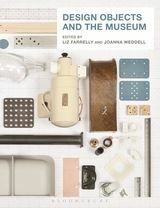 As a member of the Museum’s Research Department, I was delighted to hear a clear reference to the subject of my chapter in Design Objects and the Museum, co-edited with Liz Farrelly (Bloomsbury Academic, January 2016). So what was this ‘legendary’ department? Circulation, known in-house as ‘Circ’, has been described as the ‘originator’ and ‘prototype’ of the touring exhibition. Indeed Circ can be considered the oldest institution for the preparation of travelling exhibitions in the world, originating from collections formed at the Government School of Design from 1837. The School was part of the 19th century Design Reform movement which aimed to enable British industrial design to compete with foreign markets. These collections of art and design were circulated around the country to regional Schools of Design and incorporated into the South Kensington Museum, later the V&A. Post- war when the Department re-opened under Keeper Peter Floud, the regional impact of Circ’s dissemination of design across the UK faced very different and austere conditions to those that prevailed on its foundation. As Floud’s Times obituary noted: ‘In building up the Department of Circulation after the war he had almost to begin anew, transforming the character of the department and bringing it in closer touch with the needs of the post-war world’.